3 Bedroom villa Pererenan, located at the edge of a rice field with an amazing view. 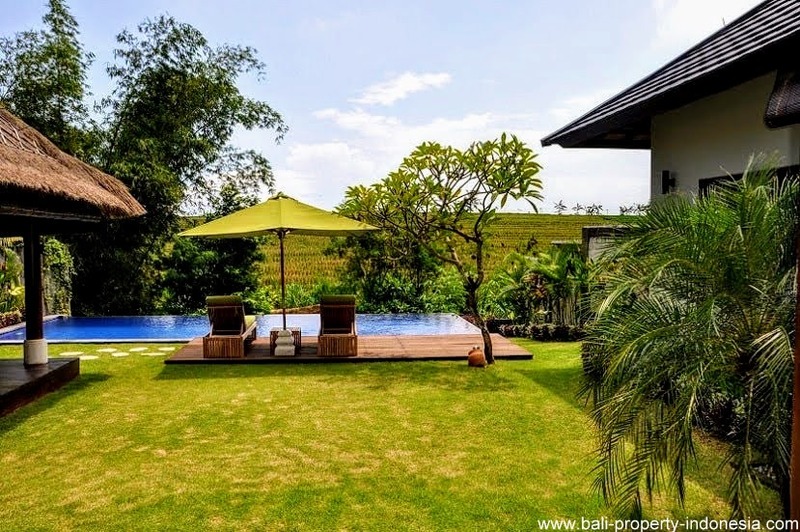 Attractive modern villa for sale with an open view over the rice fields in front of the villa. 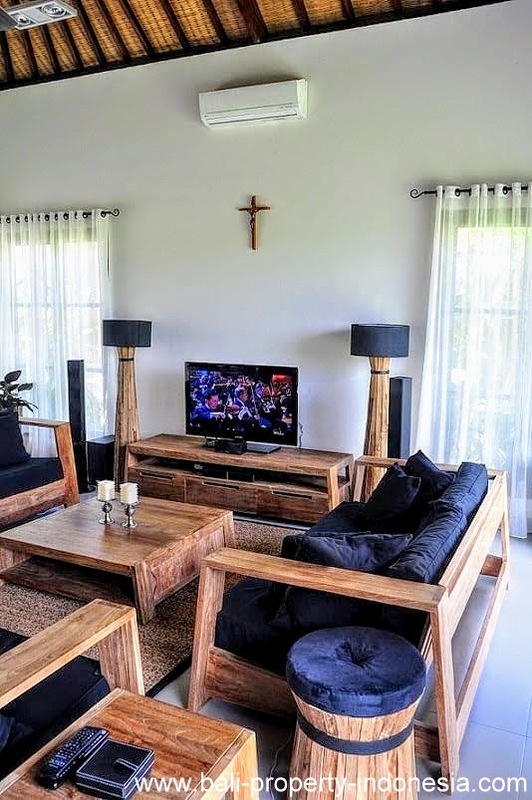 A villa with totally 3 bedrooms and located in a quiet area in Pererenan. The villa has been built in a L-shape. 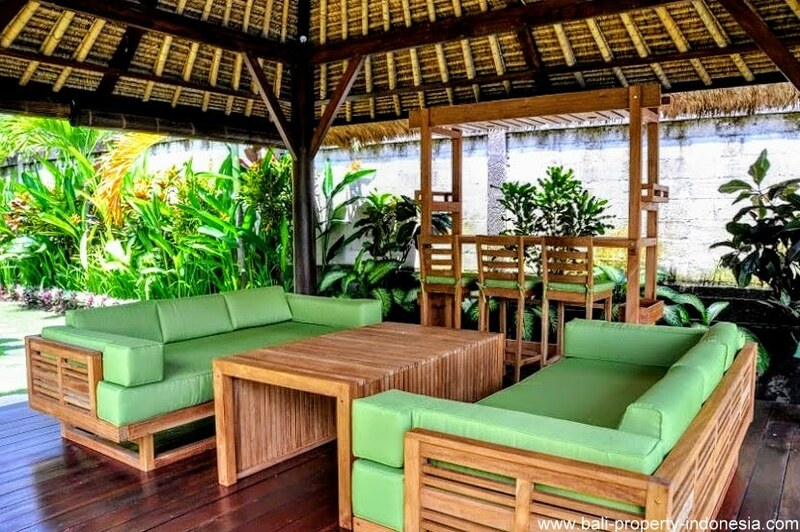 On one side of the villa you will find the large living area. 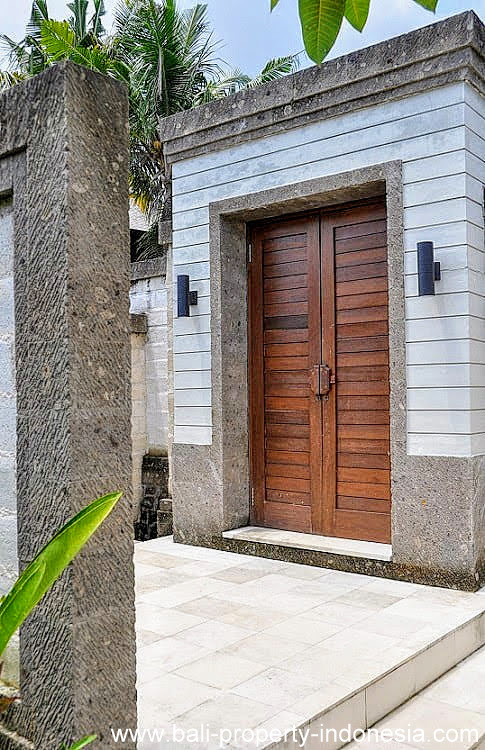 Harmonica doors on 2 sides are making it possible to let a nice breeze coming into the villa. 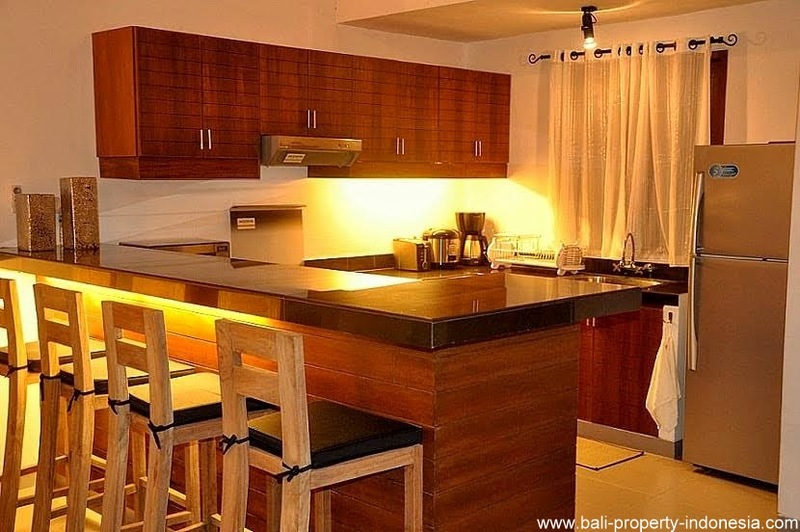 In this living are you will find the dining and open kitchen. 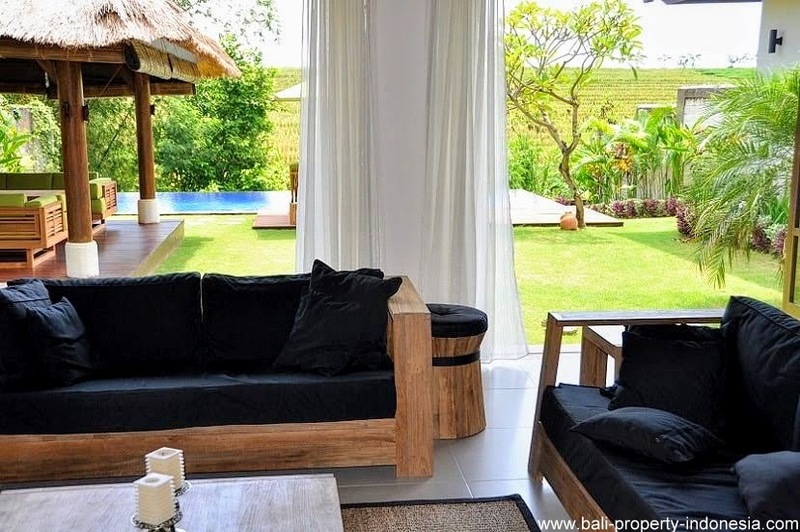 The other side of the villa is giving space to the 3 bedrooms. 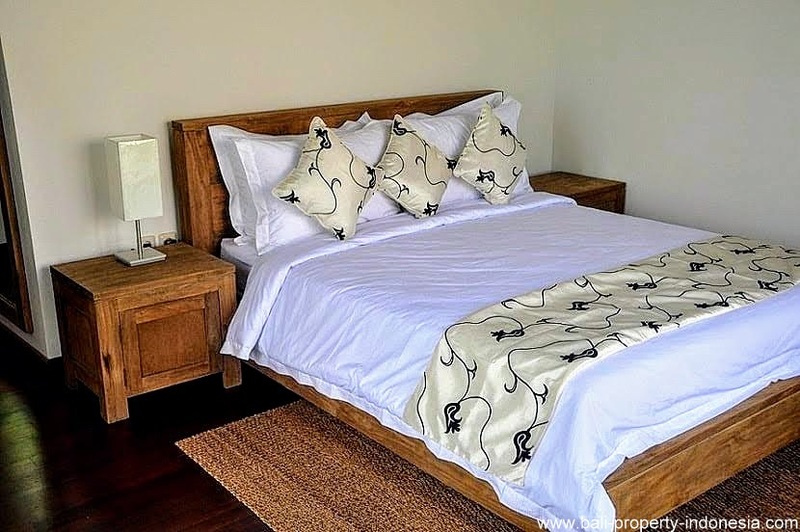 All bedrooms are nicely finished with wooden floors. 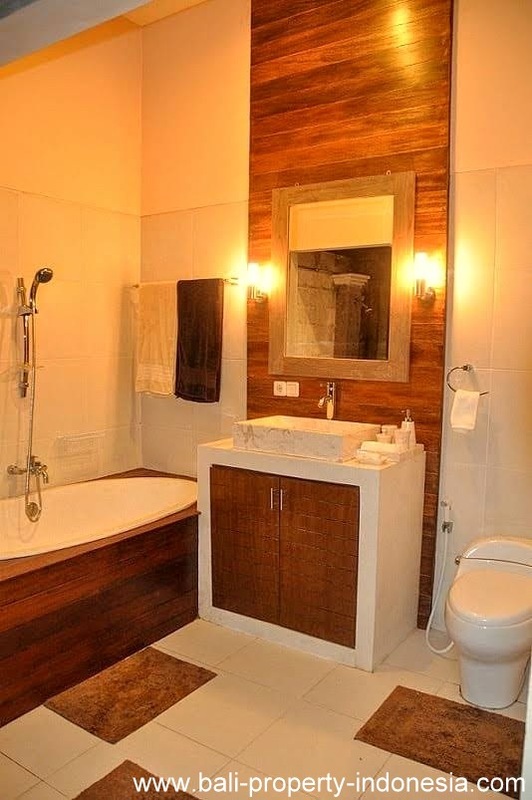 Each bedroom is having its own en-suite open bathroom. The master bathroom is having a bathtub. In the garden you will find a large gazebo. 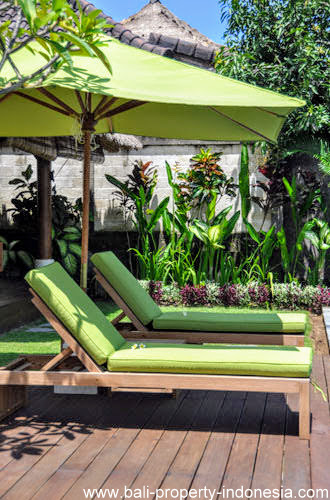 This place will be your outdoor seat and lounge area. 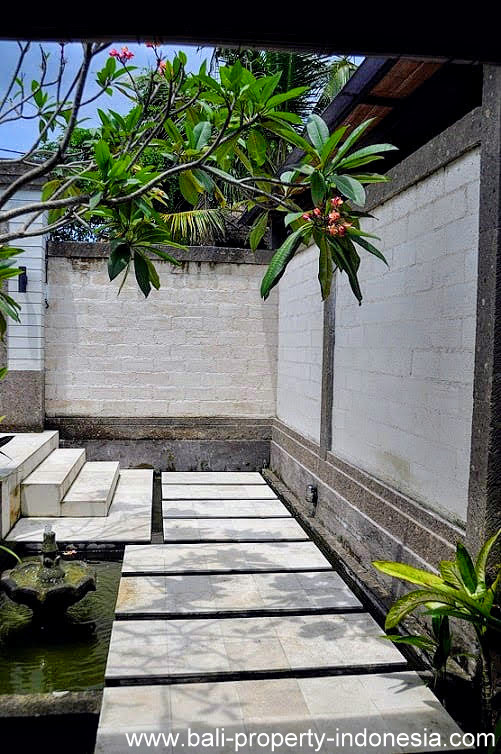 At the border of the villa is the infinity swimming pool with a wooden pooldeck attached. 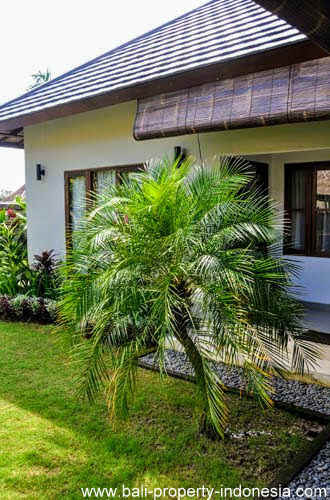 The villa is having a garage large enough for 2 cars.The villa can be found in Pererenan in a quiet street. This street is having a dead end which guarantees that not much traffic will pass you villa. 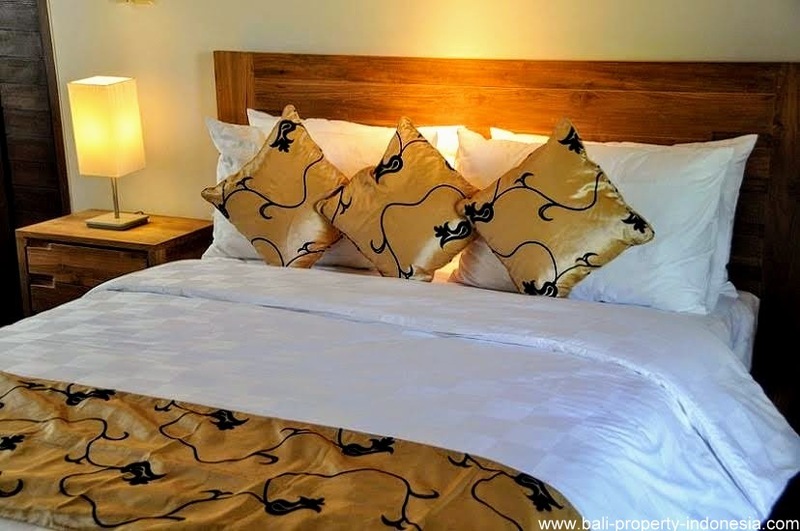 From the villa it only takes about 10 minutes driving to get to trendy and popular Echobeach. Nearby the villa you will have some supermarkets. 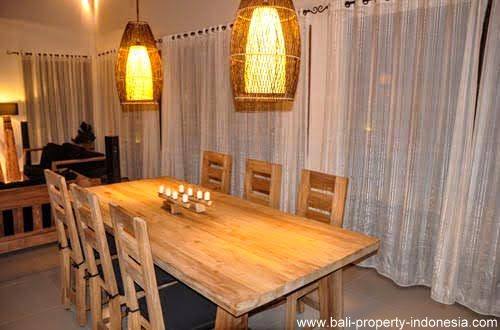 (Local) restaurants can be found in just minutes driving away from the villa. 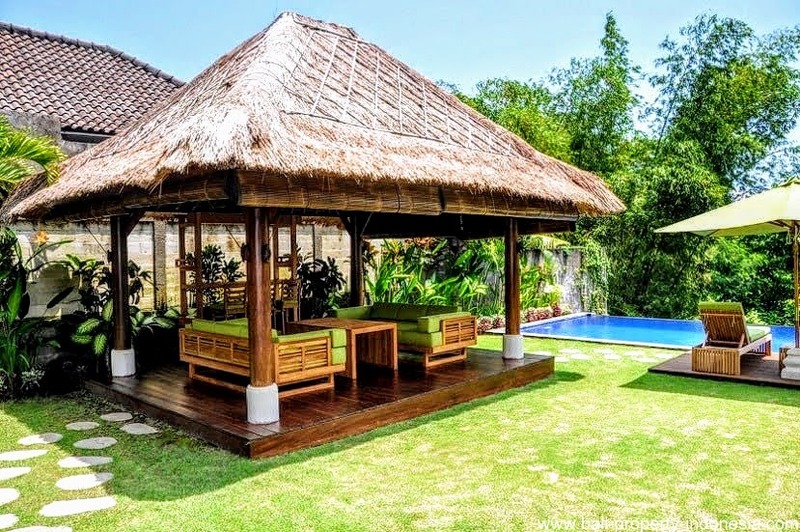 This villa is for sale with an hak pakai title. The lease of the current hak pakai lease is ending in 2035. However, to extend this lease you don’t have to pay for the land, which in fact you already own, you only have to pay an administration fee. For a hak pakai ownership title you need to have a Kitas/Kitap visa. 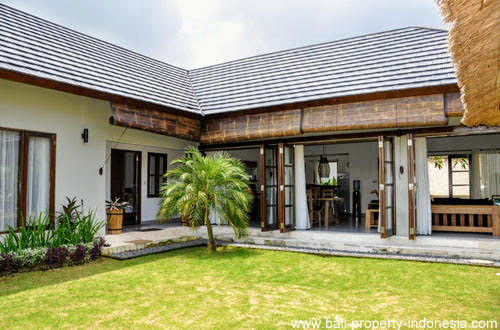 It is not possible to rent out the villa as you will not get a Pondok Wisata rental license in combination with a hak pakai title. For more information regarding the hak pakai ownership, please click here. Due to privacy reasons, we are not allowed to give the exact addresses/locations of the properties we are offering. The shown location here below is a indicative location. 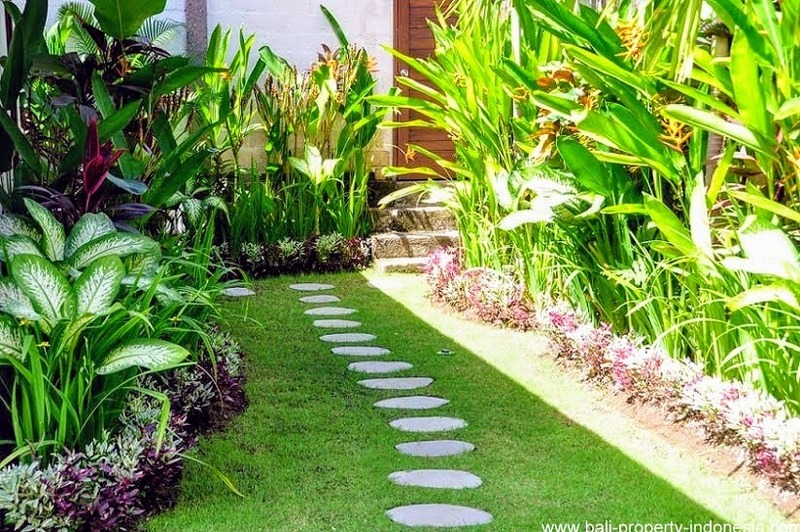 Bali Property Indonesia. 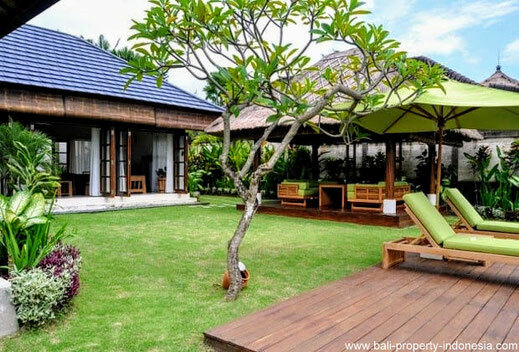 Bali property for sale. 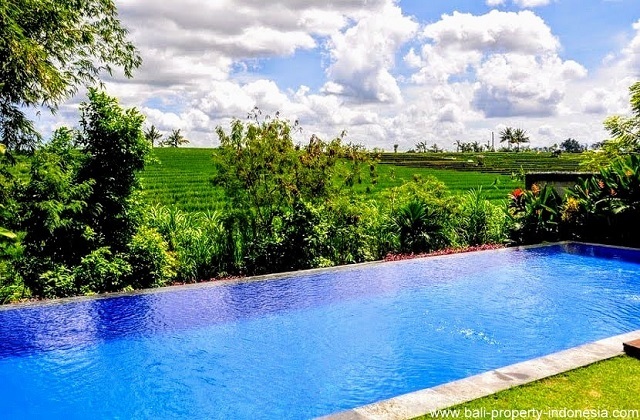 Bali villas, houses and land on offer for sale. Experts at the Bali real estate market.